Have you ever had one of those weeks when you just don’t feel like doing anything? I continue to struggle with my bad knee, waiting to have the MRI and follow up with the doctor. My fibromyalgia and other chronic illnesses have been in a flare up as well. I am also trying to adjust to new medications and their reaction to my current medications. Maybe my being down is a combination of all the above and the fact that I cannot get out of our little travel trailer without Jim’s assistance. Sometimes in the middle of the night I awake in a panic wanting to get out of the trailer to get fresh air and not feel so claustrophobic. As I experience dependence upon others to assist me with my personal and physical needs it gives me a greater appreciation for those who have disabilities that require them to be dependent upon others for their daily needs everyday of their lives. My chronic illnesses have their many stages. There are times when I am able to get around with very little difficulty and other times, like now, that I am dependent upon others. It is a very humbling experience to be dependent upon others. Sometimes I can become bitter, cranky, and depressed. That’s saying it nicely! Other days I take it all as a learning experience and accept it all with grace and even humor. As I struggle with the pain, side affects of medication, depression, and claustrophobia I am thankful for the patience my family bestows upon me as I at times take out my frustrations on them; especially my husband, Jim. On Thanksgiving Day I was on the Rest Ministries Chat Room. There were women in the chat room that shared that their husbands had left them because they could not handle their health problems. I am truly blessed to have a husband who takes his marriage vows seriously – “In sickness and in health”. I know that it is extremely difficult on him to be a caregiver and work full time. Like most people who work outside the home, when they come home from work they want to relax or have some “me” time. Jim does not have that opportunity very often. He not only has to care for me, but he has to do the housework as well. Marriage is difficult in even the best of times and health let alone adding financial struggle, children, and health issues. Jim and I have been married 36 years. We have gone through many trials and struggles over the years but the most difficult has been my chronic illness. The reason I say this is because we have no control over my health and it has been ongoing for over 25 years. For this reason, we have had to relinquish my health into the Lord’s hands and rely upon Him to give us the strength we need every day to continue with our love and marriage. Life and marriage is most difficult and complicated, but when we lay our troubles at the Lord’s feet and leave them there, He will help us through each challenge and we will grow stronger. We know that it will be worth it all when we see Jesus! Would you please do me a favor. Go right now, and hug Jim for me? Hope you feel better my friend. Just prayed for you. Hugs. Thank you for sharing this, Michele. I can surely identify with you when illnesses limit my movement and forces me to slow down too. I am so thankful that God has provided a very loving and supportive husband to you. He is such a blessing! One of my fellow blogger is going through an almost similar struggle as you do now, and I emailed your post to her as I believe your post will encourage her. I am encouraged that you are entrusting all things to our Lord and He is giving you grace and strength to go through each challenge. May He continue to bless you and Jim as you walk together in His love and ways. 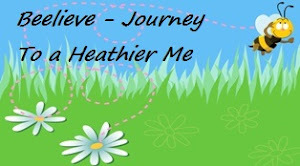 Thanks for stopping by my blog and your encouragement. It is so good to hear from you. Take care and God bless you! It is,indeed, a humbling experience to have to depend on others. I've been dealing with a chronic back problem that at times has made it almost impossible to take care of myself. Long term pain is debilitating and depressing; no doubt about that! You are very blessed to have a husband who has such a loving heart. And, as Nancie said earlier,it is obvious that you are trusting God for the strength to meet this challenge. I pray He continues to strengthen you in your body, soul and spirit! And may His peace that passes all human understanding keep your heart and mind in Christ Jesus.